Our Mission: Greater Spokane Progress is a collaborative network united to build political strength and equity in our community. In 2009, Spokane leaders founded Greater Spokane Progress (GSP) as a regional network of the statewide Win/Win Network. We brought together diverse organizations to strengthen our collective capacity to create long-term change in our community. Today, we are locally-led and independent! 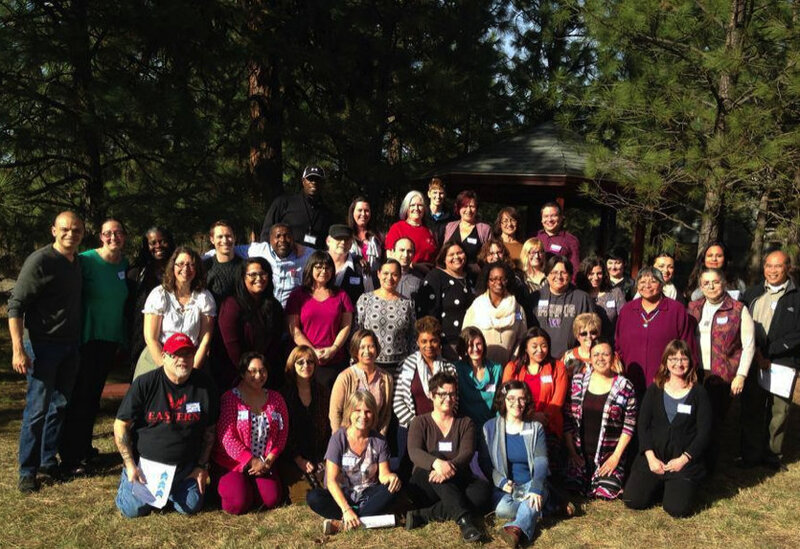 Greater Spokane Progress is a network of over 40 organizations that drives progressive change by connecting, coordinating, and supporting diverse organizations. We use an intersectional racial equity lens in all of this work because racism and discrimination divides our community and is a barrier to our mission of bringing people and communities together. We use the power of our network to be responsive to current events and the needs of our members and partners. 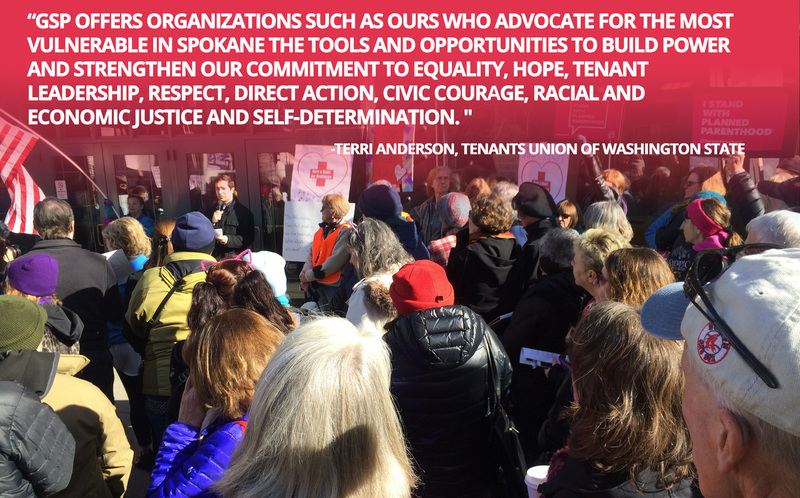 We use our network to be proactive by supporting organizing in underrepresented and marginalized communities on issues that directly impact their communities. With each response, with each campaign, our strategy is to build the long-term capacity, connection, and strength of our network and community, and win on issues that achieve and implement our progressive values. DISCLAIMER:Greater Spokane Progress is a public charity, fiscally sponsored by the Win/Win Network, that only engages in activities that are permissible under Internal Revenue Code section 501(c)(3). Greater Spokane Progress and the members of the network are strictly prohibited from participating or intervening in any political campaign on behalf of or in opposition to any candidate for public office. All Greater Spokane Progress activities will be strictly non-partisan. In addition, Greater Spokane Progress activities will not be coordinated with any candidate, political party or other partisan entity.